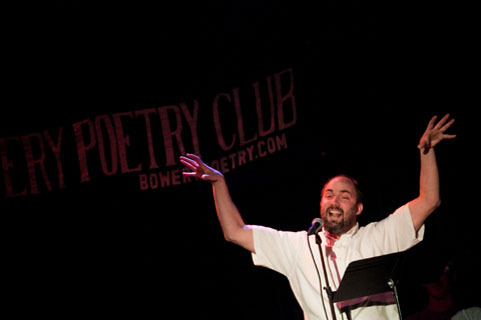 At The New York Times: Nobody died at the Literary Death Match, but we love the picture of Clay McLeod Chapman (above) doing his best boogeyman impression. At The Millions: Joanna Smith Rakoff and David Gutowski (Largehearted Boy) talk about stuff they’ve both read in 2010. At The Huffington Post: Another wacky list at HuffPo. This one is 9 crazy things said in bookstores. At Vice: NY Tyrant interviews Paula Bomer, author of Baby & Other Stories. At Impose: Josh Spilker picks his ten favorite books of 2010. At Brooklyn Vegan: Kathleen Hanna telling the story behind “Smells Like Teen Spirit,” and then launching into “Rebel Girl” is one of the sweetest things we’ve seen all year.